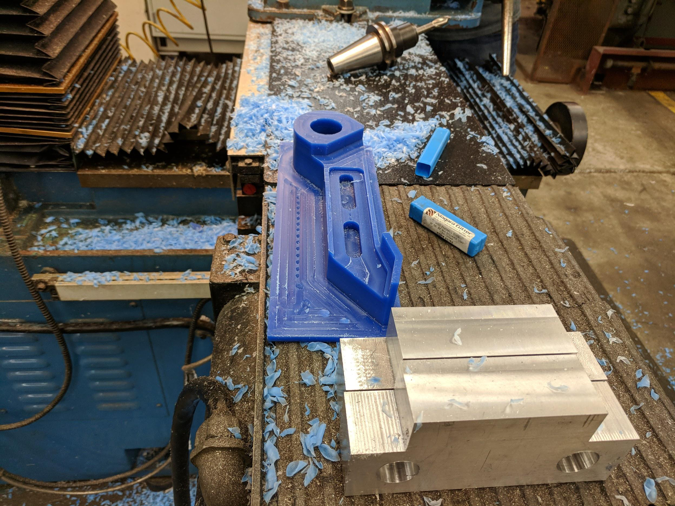 New for the 2018 season, our team will be cutting some of our parts in house with the help of John Miller and his shop’s ProtoTRAK AGE 3 CNC mill. 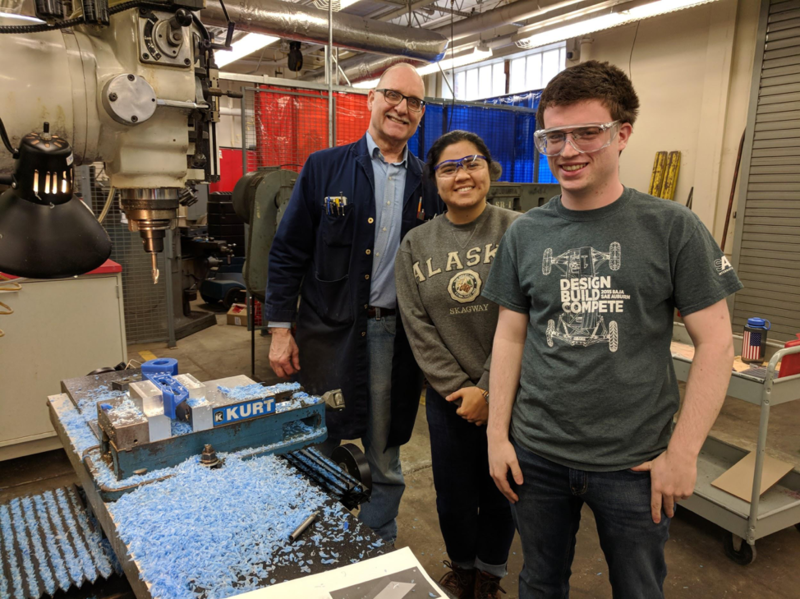 With the help of Professor Muir, our faculty adviser, team members have been learning to program toolpaths in Siemens NX and run them on the ProtoTRAK. 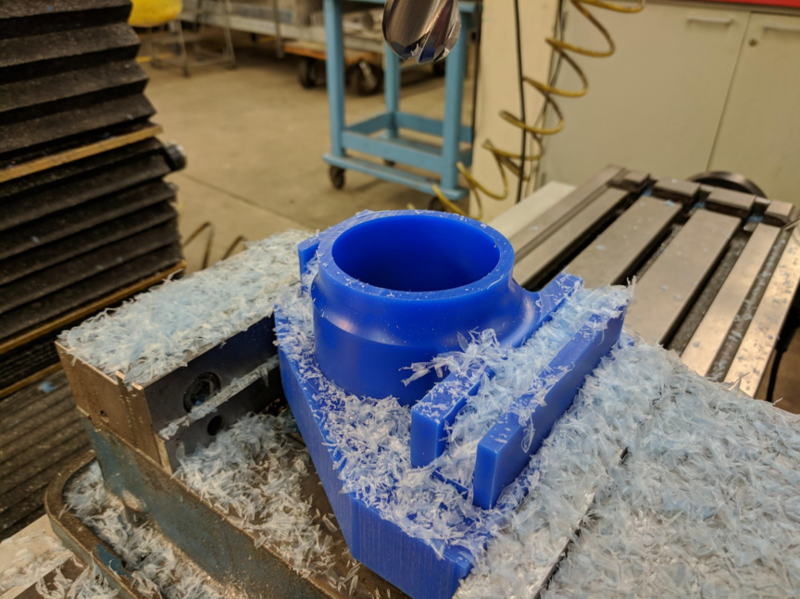 Last November, the first part was cut in machinable wax, a rear upright for our most recent suspension designs. Wax was used to test the toolpaths and demonstrate the capabilities of the machine. For the 2018 car, we will be making the brake pedal. A wax prototype has been cut and the aluminum one will be cut in the next couple weeks. The use of CNC technology allows the brake pedal to be more ergonomically friendly in addition to having a geometry which better suites the design of the footbox. We also plan to use the ProtoTRAK to cut the housing for our custom rack and pinion. 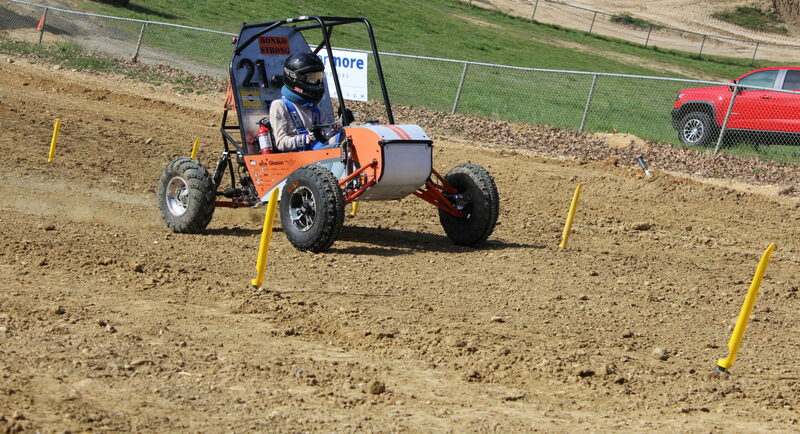 We are implementing a custom rack and pinion to allow for 180-degree “butterfly” steering. The custom rack housing also provides more flexibility in mounting the rack in the footbox in addition to reducing weight. The use of CNC technology in house is and will continue to be a huge asset to the team. We would like to thank John, Bill, Frank, and Professor Muir for all of their support in gaining access to this technology.